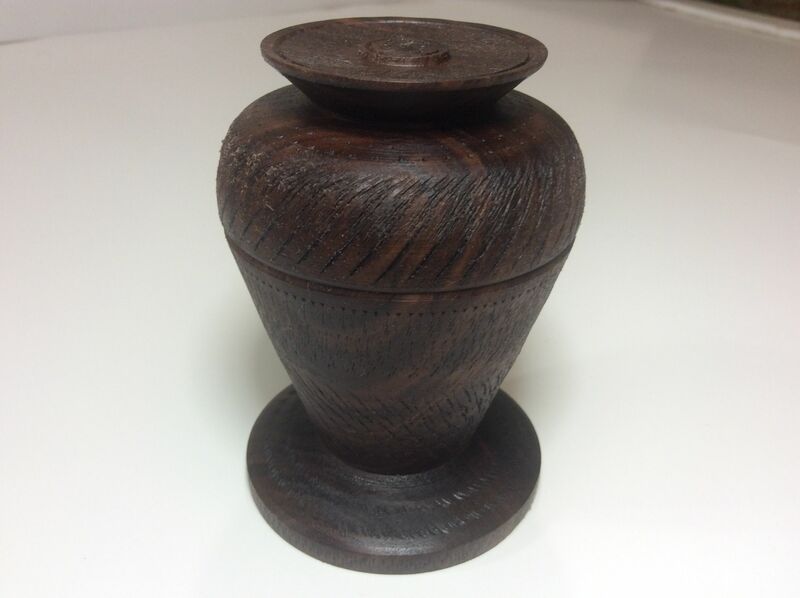 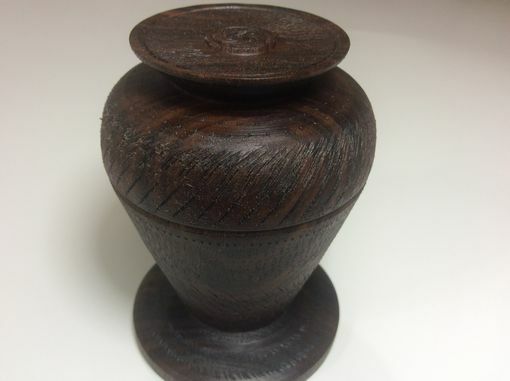 This Walnut woodturned lidded box is approximately 4" tall and 3" in diameter. 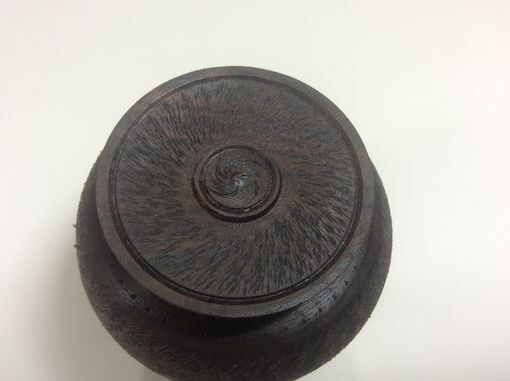 Finished with a non toxic oil and wax finish. 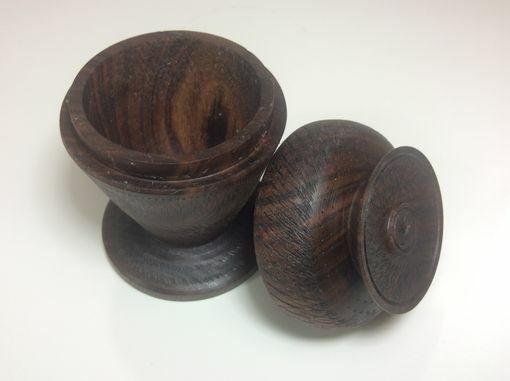 Perfect for home decor and/or a place to put small keepsakes.